At Building Equity Management we manage every property as if it were our own. We focus on the details. We fixate on the bottom line. We are proactive about maintenance. We keep the city agencies at bay. And most importantly, we give our clients peace of mind. Building Equity Management (BEM) is a boutique New York City-based property management firm focused on multifamily and mixed-use buildings as well as condominiums and co-ops. We boast a solid understanding of the three legs of NYC property management—maintenance of the physical plant, financial management, and New York City and State regulatory compliance. We currently manage approximately 50 addresses across Manhattan and Brooklyn including the following neighborhoods — Greenwich Village, SoHo, Tribeca, Flatiron, Chelsea, Little Italy, Lower East Side, Upper East Side, Upper West Side, Hell’s Kitchen, Kips Bay, Harlem, Washington Heights, Greenpoint, Crown Heights, and Park Slope. Vinocur entered the world of real estate investment/management in 2000, after the sale of a successful technology conference business. After using the proceeds to purchase and redevelop several Harlem brownstones, he set his sights on the multifamily market, making a number of purchases in Washington Heights. These investments were driven by the allure of “cheap bricks” and a willingness to be a long-term investor and “work” the buildings. With a strong financial management foundation and extensive experience in renovation and capital projects, Vinocur lives and breathes the business, keeping BEM a step ahead of its competition. He is a regular speaker at multifamily industry events in NYC and holds a BA in Natural Sciences from Johns Hopkins University and an MBA from Yale University. Reilly began his career in real estate in 1996 as a commercial broker focused on the multifamily and mixed-use buildings. 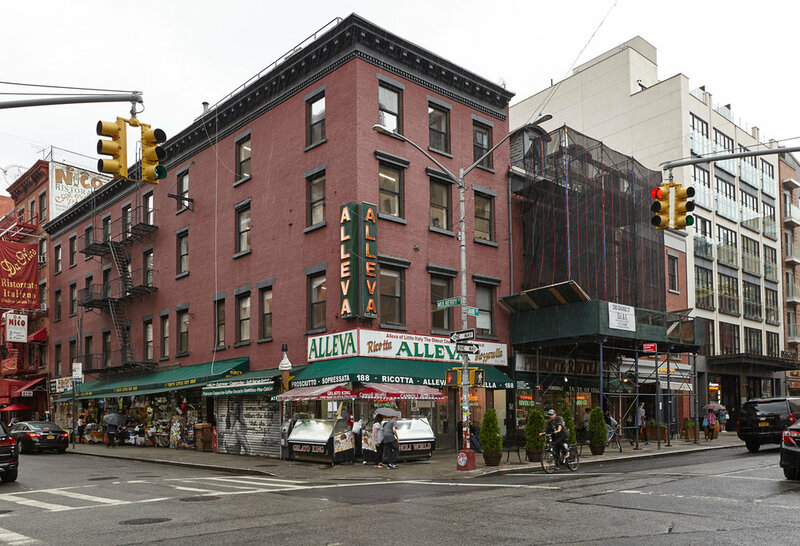 In 2001 he spearheaded the roll up of a multiple building investment portfolio in Little Italy, which propelled him into property management. After several successful years a principal of a commercial brokerage firm bearing his name, Reilly decided to shift his focus solely to property management. He earned his first 3rd party management assignment in 2010 and, when he was asked to manage a 50+ unit portfolio for another landlord, turned to Vinocur to co-launch BEM. Reilly is a hands-on manager who has particular strength in running mixed-use buildings with restaurant tenants. Why do people change their property management? 9 out of 10 times it’s due to a lack of responsiveness and follow through. Whether you are an owner, a board member, a tenant, or a shareholder, you want to get your call, text, email, or voicemail answered in a timely fashion. And then, you want to get that repair, financial report, distribution, bill payment, or legal question addressed quickly. At BEM, we expect our employees to get back to you ASAP. Even if we don’t have an answer or a fix to your question or problem, OUR expectation is that someone will always be in contact with you the same day, without fail. There is nothing as infuriating as inattentive service. BEM provides comprehensive property management services. If you are a building owner, we want you to be able to vacation without having to worry about your property. If you are on a co-op or condo board, we want to help ensure that your volunteer position doesn’t consume your life. We handle everything from collections to bill payments and all the resulting accounting. Comprehensive financial reports are provided each month, as granular as you might like, and we’ll coordinate extensively with your accountant for tax filing, audits, etc. We pay our vendors quickly and we constantly monitor arrears, lease expirations, and legal matters. Of course, we also handle all aspects of lease management, renewals, commercial rent escalations, etc. There’s no two ways around it. To have a great building, you have to maintain it. From preventative maintenance to major capital projects, BEM can manage all your needs. We encourage tenants to make use of our maintenance portal to report repair requests, giving direct visibility to our entire staff as well as to supers. We are laser focused on all required annual maintenance items from annual boiler and elevator inspections to 5-year FISP facade studies. And we are always refining our stable of vendors in the various trades in order to find top service at a fair price. New York City and State Government does its best to make our job a challenging one! Keeping current and compliant with NY regulatory requirements demands constant vigilance. From rent regulation laws to the myriad of required annual filings, we pride ourselves in steering clients clear of unnecessary fines and penalties for non-compliance. We couldn’t do what we do without technology! At the core of our business is cloud-based software that gives us access to all financial data from anywhere, anytime. We provide web-portal access to both owners and tenants. Rent, maintenance, and common charges can be paid online via ACH, repair work orders can be entered, and owners and board members can see real time financial information. We’ve developed a workflow using Evernote software to scan and catalog every piece of paper that comes into our office. This uniquely enables us to find any document from anywhere at any time. If you need to see a vendor contract, an old bill, a lease, or an insurance policy, it’s never a problem. Our digital tagging system allows us to retrieve whatever you are looking for within moments. And it doesn’t stop there. We’ve embraced everything from fob entry systems with event triggered video capture to wireless sensor-based heat control systems that feed us alerts via a phone app. And whether you’re interested in adding solar energy or a remote doorman package control system, you can know we’ll get it done. © 2019 Building Equity Management LLC. All rights reserved.